NSCF is pleased to announce the hiring of Alasdair Tutt as the new FXC head coach. Alasdair comes to us with an extensive background in ski coaching and strength training. 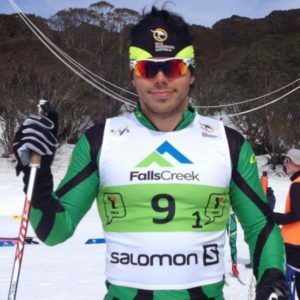 His coaching resume includes regional and national team positions in Australia, with the Steamboat Springs (Colorado) Winter Sports Club as well as spending the past two years with NSCF-FXC. In addition to his coaching experience, Alasdair has more than five years of international racing including representing Australia at the Junior and U23 World Championships. Alasdair possesses a Bachelor of Sports Coaching and Exercise Science and is currently working on a Masters of Sports Science – Performance Optimization for Elite Sports. He has USSA Level 100 and Level 200 coaching certifications. This combination of competing internationally, coaching experience at many levels, and his formal educational background give him an excellent base from which to lead the FXC program into its next stage as Head Coach and Program Director. Many of you have met Alasdair as he worked with the FXC program as an assistant coach over the past two years. His practical knowledge of the program will help ensure continuity as he continues to develop FXC for our athletes’ needs. To that end one of his first tasks, in conjunction with the Skier Development Oversight Committee, will be to hire an assistant coach to work with this coming ski season. Alasdair has already been hard at work on this task. Please join us in welcoming Alasdair as head coach of FXC!